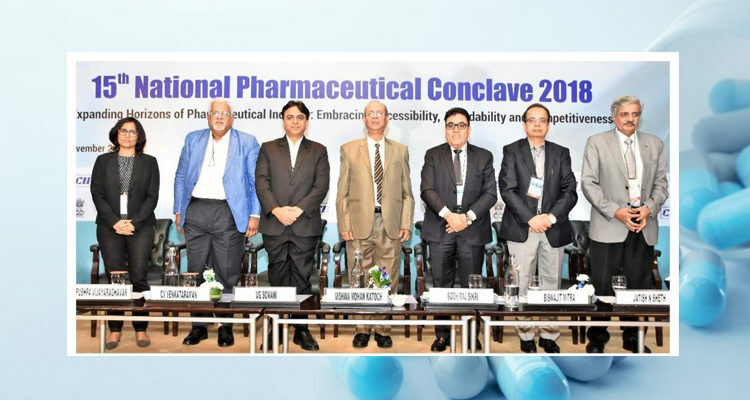 Sathguru’s Healthcare Practice Lead Pushpa Vijayaraghavan moderated the panel on “Indian Bulk Drug Industry- Regaining the Lost Glory” at the CII National Pharmaceutical Conclave 2018 held in New Delhi on the 19th of November. The session discussed prospects of the API industry, looming and continuing concerns on import dependency for key APIs and intermediates, progress so far in supporting resurgence of the Indian industry and key recommendations that call for immediate attention. The cross-sectional panel included special address by Dr VG Somani, Joint Drug Controller (India), Dr Vishwa Mohan Katoch, Former DG ICMR and Chair of the Katoch Committee that made recommendations on action plan for API self-sufficiency and industry representatives – Mr BR Sikri, VP of BDMA and IDMA, Mr Jatish Sheth, Director Srushti Pharma, Mr CV Venkatraman, Director Lupin Limited and Mr Biswajit Mitra, Chief Mentoring Officer, Cadila Pharma.